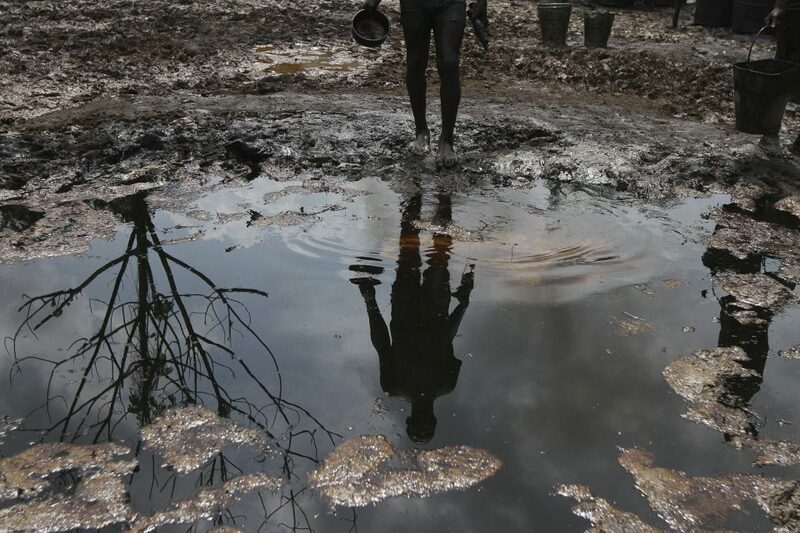 Oil giants Shell and Eni knowingly took part in a vast bribery scheme for one of Africa’s most valuable oil blocks which deprived Nigeria and its people of $1.1billion, an exposé by Global Witness and Finance Uncovered reveals. New leaked internal emails seen by Global Witness and Finance Uncovered show that Shell’s most senior decision-makers knew that the money they paid for oil block OPL 245 in 2011 would go to convicted money launderer and ex-Nigerian oil minister Dan Etete – rather than to benefit the Nigerian people. Global Witness has investigated and exposed this case for six years and Shell has consistently denied any wrong-doing, saying it only paid the Nigerian government. The newly leaked emails show this denial is misleading. 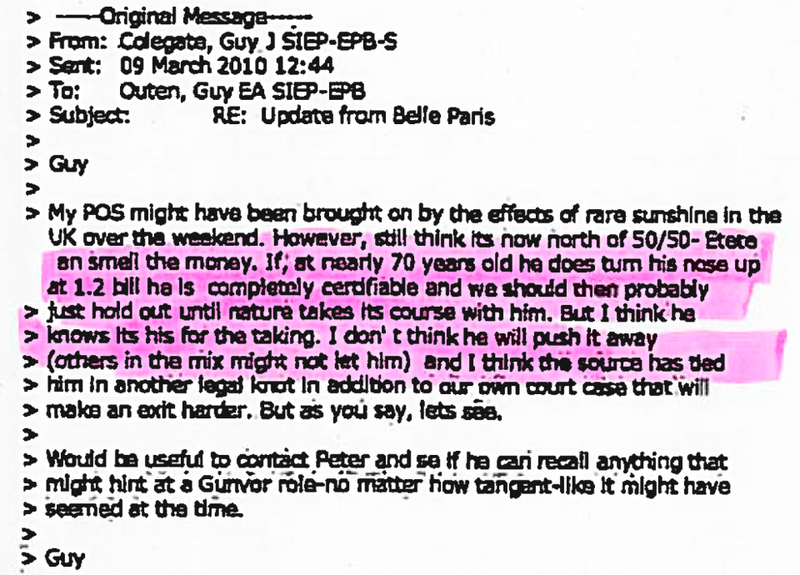 Emails which went to then CEO Peter Voser reveal that they knew this massive payment would go to Etete. Other emails show Shell execs were told money was likely to flow to some of the most powerful people in the country, including to then President Goodluck Jonathan. These revelations come shortly after moves by the Trump administration and House Republicans to derail a critical rule, section 1504 of the Dodd-Frank Act, which requires U.S. listed companies like Shell and Eni to disclose payments just like these. U.S. Secretary of State, Rex Tillerson himself lobbied against this payment disclosure provision while serving as Exxon CEO. BREAKING NEWS: leaked emails show how Shell bribery scheme deprived Nigeria of $1.1billion. 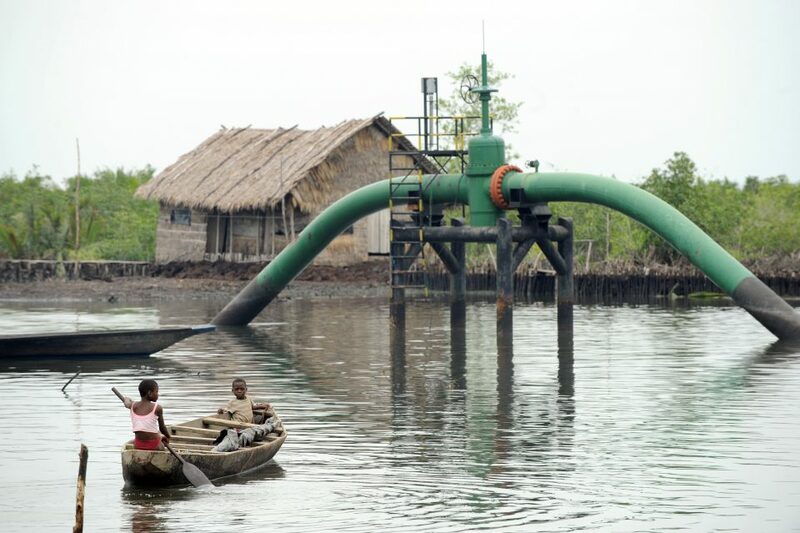 Shell and Eni’s corrupt deal has huge consequences for ordinary Nigerians. Right now five million Nigerians face starvation and one in ten children don’t live to see their fifth birthday. The money paid for the block equates to one and a half times what the UN says is needed to respond to the country’s current famine crisis. Law enforcement raided Shell’s headquarters in February 2016; six countries including the U.S. have investigated the deal. An Italian court will begin hearings on 20 April to determine whether Shell will face trial on international corruption charges. Several Shell executives from the time of the deal may face proceedings in their personal capacity. 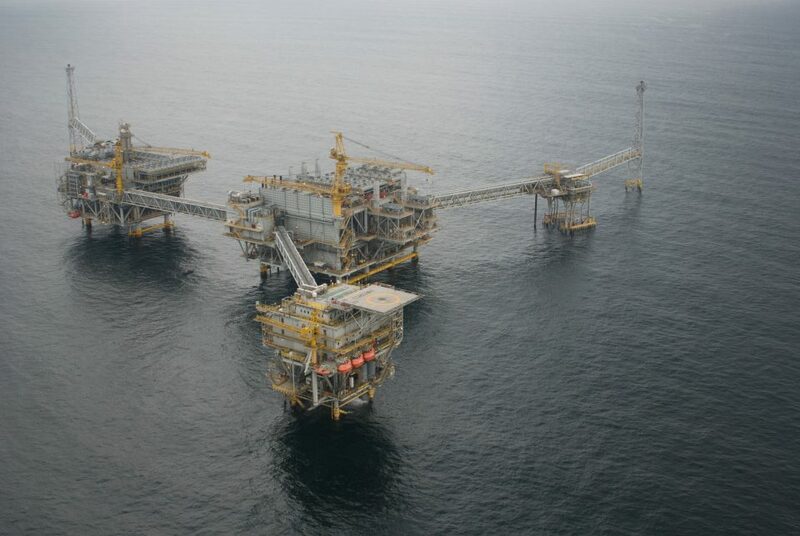 Most alarmingly for investors, when the OPL 245 deal was being negotiated Shell had already been charged for violating provisions of the Foreign Corrupt Practices Act for paying bribes in Nigeria. Five months before the deal was struck, Shell had entered into a deferred prosecution agreement – the equivalent to being under probation – with the U.S. Department of Justice. This agreement was still in place when the deal went through. Today’s news suggests Shell may have violated this agreement by entering into a bribery scheme. It is hugely concerning that the company’s most senior executives went anywhere near this deal given the company had such serious sanctions hanging over it. However accountability is only one part of the solution, says Global Witness. This Shell scandal is not an isolated case – the oil, gas and mining industry is the most corrupt on the planet according to the OECD. Corrupt deals like this can be prevented through strong enforcement of bribery laws together with strong transparency laws that make it impossible to conduct such deals in secret. A Shell spokesperson told Finance Uncovered: “Given this matter is currently under investigation, it would be inappropriate to comment on specifics. However, based on our review of the Prosecutor of Milan’s file and all of the information and facts available to Shell, we do not believe that there is a basis to prosecute Shell. Furthermore, we are not aware of any evidence to support a case against any former or current Shell employee.” If it was ultimately proved that Etete’s company made bribe payments relating to the OPL 245 deal “it is Shell’s position that none of those payments were made with its knowledge, authorisation or on its behalf”, the company said. Eni told Global Witness that it was not appropriate to debate the merits of the allegations as proceedings were pending. They noted “inaccurate statements and mischaracterizations of the record, including, for example, your description of the structure of the acquisition OPL 245”, continuing “none of the contracts relating to the 2011 transaction was executed secretly or designed to ‘hide’ any party’s transaction”. In January Goodluck Jonathan released a statement saying he “was not accused, indicted or charged for corruptly collecting any monies as kickbacks or bribes” in the OPL 245 affair. Shell’s annual reports have given scant details about the OPL 245 deal, despite the oil block’s huge potential. But with nine billion barrels of “probable reserves,” the block could increase Shell’s global “proven oil reserves” – a key figure for shareholders – by a third. Tagged 1504, Ben Van Beurden, Dan Etete, Dodd-Frank, ENI, Global Witness, Good Luck Jonathan, Nigeria, OPL 245, Peter Voser, Rex Tillerson, Shell Oil. Washington, DC — Today’s decision by the Republican-led U.S. Senate to overturn a rule designed to stop oil companies striking corrupt deals with foreign governments is a grave threat to U.S. national security and an astonishing gift to big oil, said Global Witness. The news comes just two days after Rex Tillerson, a longstanding opponent of the law while CEO of ExxonMobil, was confirmed as Secretary of State, and the day after the U.S. eased sanctions on Russia. The oil industry is the most corrupt on the planet. Alongside a broader anti-regulatory push and President Trump’s failure to address his conflicts of interest, this vote to roll back efforts to bring oil deals into the open is another sign of the rapid erosion of U.S. democracy in favor of big business. The law, known as the Cardin-Lugar transparency provision, requires U.S.-listed extractive companies like Exxon, Chevron and several Chinese oil majors to publish details of the hundreds of billions of dollars they pay to governments across the world in return for rights to natural resources. Bringing shady oil deals to light should help ensure these vast public revenues benefit all instead of lining the pockets of corrupt elites. However, this week, Congress voted to rescind the implementing regulation by the U.S. Securities and Exchange Commission, with the House of Representatives voting on Wednesday and the Senate voting earlier today. “As Exxon CEO, Rex Tillerson did everything in his power to gut this law, because it doesn’t suit big oil’s corrupt business model. Now he’s Secretary of State Congress has immediately sanctioned corruption by green lighting secret deals between oil companies and despots. These deals deprive some of the world’s poorest people of oil wealth that is rightfully theirs. Given the President’s massive conflicts of interest and his administration’s broad attacks on regulation, it appears our institutions are increasingly being abused to further the business interests of a powerful few. This is how corrupt dictatorships start,” said Corinna Gilfillan, Head of U.S. Office of Global Witness. This move sets the U.S. in opposition to a broader global trend toward greater transparency and accountability in how oil, gas and mining revenues are managed. Thirty other major economies around the world, including the UK, Canada, Norway and all 27 members of the European Union – have laws requiring their oil, gas and mining companies to disclose their payments to governments. Dozens of major European and Russian oil companies have already published their payments to governments. Claims made by the oil lobby that greater transparency will harm U.S. oil companies’ competitiveness has proven untrue. Global Witness notes with concern the complete fabrication of facts by the Republican leadership in their presentations about the Cardin-Lugar transparency provision. They have relied on the American Petroleum Institute’s “facts,” which have been discredited over the past six years in multiple fora, while being totally unwilling to hear an alternative view. This is evidenced by their absence during the actual debate, not to mention the fact that many in the leadership who have pushed this resolution receive vast sums from the oil and gas industry. In the absence of a better explanation, it is difficult not to conclude that big oil has just had its lackeys liberate them to be corrupt. “The U.S. has thrown away its global leadership on tackling corruption. Oil, gas and mining companies from other countries have already disclosed over $150 billion in payments under similar rules, meaning citizens can begin to hold their governments to account. If they can do it, you have to ask – what have the U.S. companies got to hide?” said Gilfillan. The law was finally implemented in 2016 after being passed in 2010 as part of the Dodd Frank reform act. It was implemented following a broad campaign from civil society groups, investors and community leaders all over the world. Tagged 1502, 1504, Cardin-Lugar, Congo, Dodd-Frank, donald trump, Exxon, ExxonMobil, Global Witness, Nigeria, Rex Tillerson, Russia, SEC. Washington, DC — Today’s vote by the Republican-controlled House of Representatives to undo a rule designed to stop corruption in the oil industry poses a grave threat to U.S. national security, said Global Witness today. The oil industry is the most corrupt on the planet, according to the OECD. Yet today the House of Representatives voted through a resolution to void the rule implementing the bipartisan Cardin-Lugar anti-corruption provision, which requires oil, gas and mining companies to disclose details of the hundreds of billions of dollars they pay to governments across the world in return for rights to natural resources. “Make no mistake – this vote by the Republican-controlled House works in favor of corruption and against core American democratic values. The law under threat exists to deter U.S. listed oil, gas and mining companies from cutting secretive deals with corrupt regimes, tyrants and dictators all over the world – undoing it threatens our national security,” said Corinna Gilfillan, Head of U.S. Office at Global Witness. This comes just days after Nigeria’s anti-corruption law enforcement agency seized a billion dollar oil block from Shell and Eni during a corruption investigation. Had the U.S. anti-corruption rule been in place in 2011, this crooked deal would never have gone through, leaving the companies’ investors and the Nigerian people much better off. The deal itself deprived Nigeria’s people of a sum worth 80% of its 2015 healthcare budget. Given that the block in question is estimated to hold as much as 9.23 billion barrels in probable reserves, investors face substantial losses from a backroom deal they knew nothing about. Global Witness recently highlighted how a questionable oil deal between ExxonMobil and the Nigerian government is currently being investigated by Nigerian law enforcement. The Senate is expected to vote on a similar resolution as early as tomorrow. The news follows President Trump’s signing of executive orders designed to force through the environmentally devastating Keystone XL and Dakota Access pipelines last week. Washington, DC — The past 24 hours have seen an unprecedented number of gifts to Exxon and the oil industry, said Global Witness today. Yesterday, the Senate Foreign Relations Committee approved former CEO of Exxon, Rex Tillerson, to lead the State Department. Today, it is expected that Republicans in the House of Representatives will introduce a resolution to wipe out an historic oil transparency reform, while President Trump signed executive orders designed to force through the environmentally devastating Keystone XL and Dakota Access pipelines despite years of opposition. The resolution would roll back a landmark anti-corruption law, known as the bipartisan Cardin-Lugar anti-corruption provision, which requires oil, gas and mining companies to disclose details of the hundreds of billions of dollars they pay to governments across the world in return for rights to natural resources. The rule is a key part of U.S. efforts to curb the corruption that keeps poor countries poor and threatens U.S. national interests and global security around the world. “Given the long-standing egregious record of the oil and gas industry, and now the likely confirmation of the former Exxon CEO as the top U.S. diplomat, it is difficult to not conclude that these pro-corruption moves by the Trump Administration and the Republican-controlled Congress are a sign that not only do they think corruption is perfectly acceptable but that they intend to become pro-active enablers of corruption,” said Simon Taylor, co-founding director of Global Witness. ExxonMobil is spearheading industry efforts to gut the Cardin-Lugar anti-corruption provision, which would bring much needed transparency to the secret deals that ExxonMobil and other resource companies do with corrupt regimes, fueling instability around the world. Tagged 1502, 1504, Alberta Tar Sands, Congo, dakota access pipeline, Dodd-Frank, donald trump, Exxon, ExxonMobil, Global Witness, keystone XL pipeline, Nigeria, Rex Tillerson, Russia, Tar Sands. Washington, DC — Today, the Senate Committee on Foreign Relations voted in favor of making Rex Tillerson, former CEO of ExxonMobil, the most powerful diplomat in the U.S. Global Witness raised serious concerns that this appointment would pose a grave threat to both US and global security. On Mr. Tillerson’s watch, ExxonMobil was at the forefront of efforts to gut laws to fight corruption in the oil, gas and mining sector, and has been accused of purposefully misleading the public over climate change. Mr. Tillerson himself has been asked to testify about the role of fossil fuel companies and the government in causing climate change, as part of a lawsuit brought by children alleging their constitutional rights have been violated. Meanwhile, Global Witness has exposed how the company has repeatedly struck backroom deals with tyrannical regimes, fuelling instability around the world. “Up to now the U.S. has been a global leader in fighting the corruption that has dogged the oil, gas and mining industry, not least because such abuses of power threaten global security. So to protect our country and its standing in the world, and to continue to promote human rights and fight corruption, we will keep a watchful eye on our new Secretary of State. As our top diplomat and global representative on climate, we must make sure he is putting our national interest, human rights and the futures of our children before the industry he’s devoted his entire working life to.” said Corinna Gilfillan, Head of Global Witness’ US office. Tagged donald trump, Exxon, ExxonMobil, Global Witness, Rex Tillerson, Secretary of State.